I’m a bit obsessed with outdoor sewing projects right now as I have a deck and a yard for the first time ever. 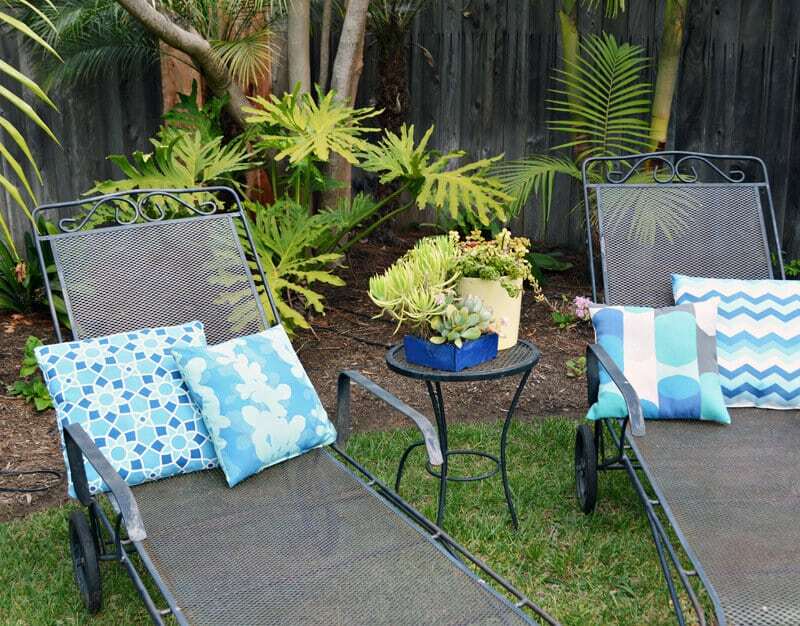 There are so many fin ideas for sprucing up your outdoor spaces with fun sewing projects. 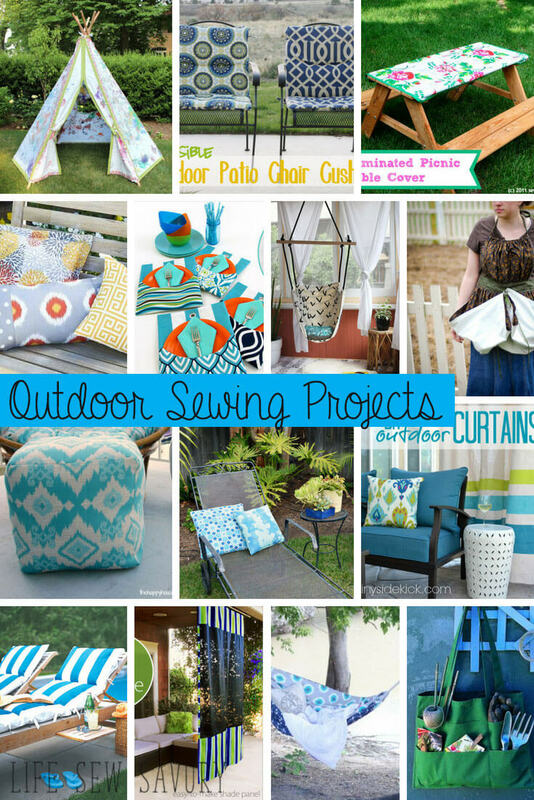 I’ve got a great list of all kinds of fun outdoor sewing projects and I hope you will find these inspirational. Ok! Let’s take a look at the line up today! I’m sure you will find something you need to add to your TODO list for the weekend. 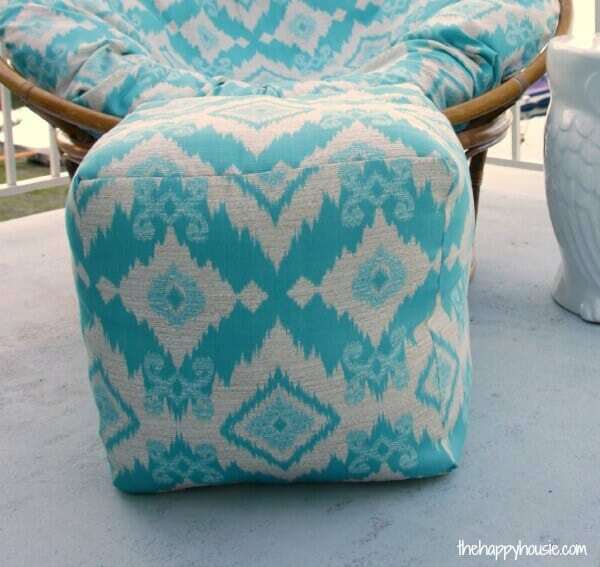 How to sew a Pouf – The Happy Housie – what a bright and useful was to brighten up your outdoor space! 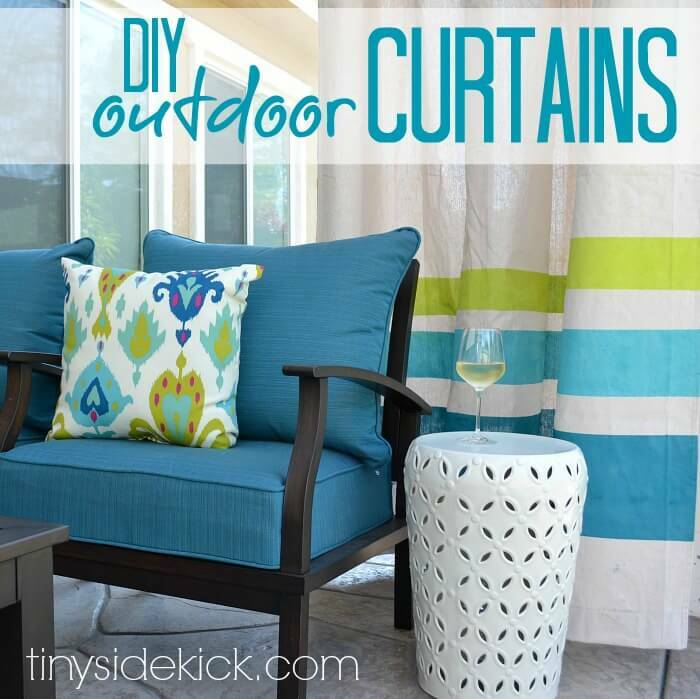 Outdoor Curtains – Hey There Home – need some shade? This looks like a great way to add color and shade to your deck. 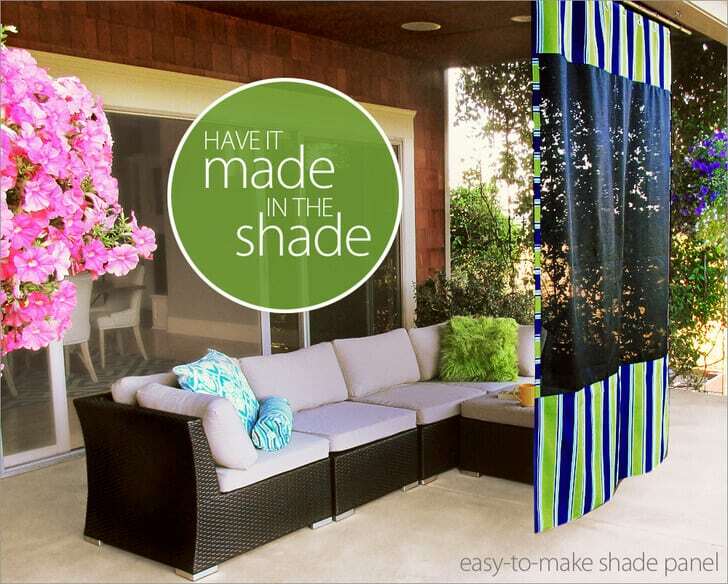 Screen Shade – Sew 4 Home – Here’s another shade option that looks so great and really brightens up your space. 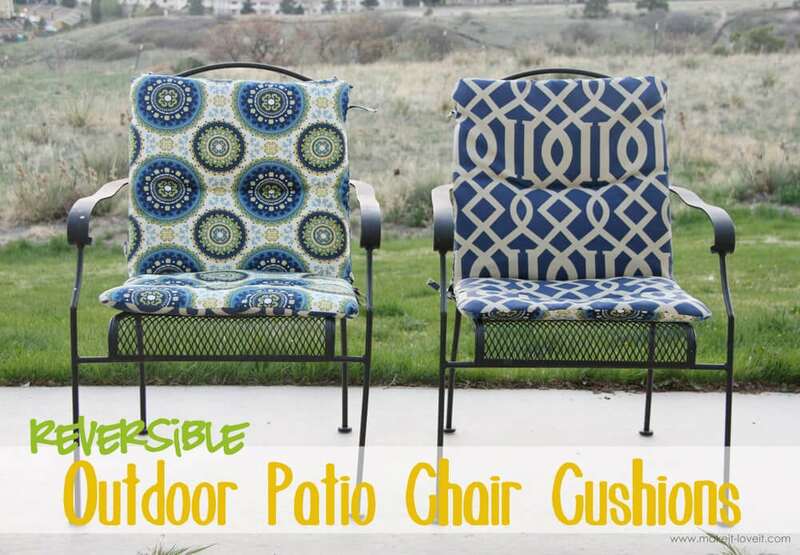 Outdoor Reversible Cushions – Make It & Love It – Cushions wear out before the chairs every time.. here’s a great way to get more use from your outdoor furniture. 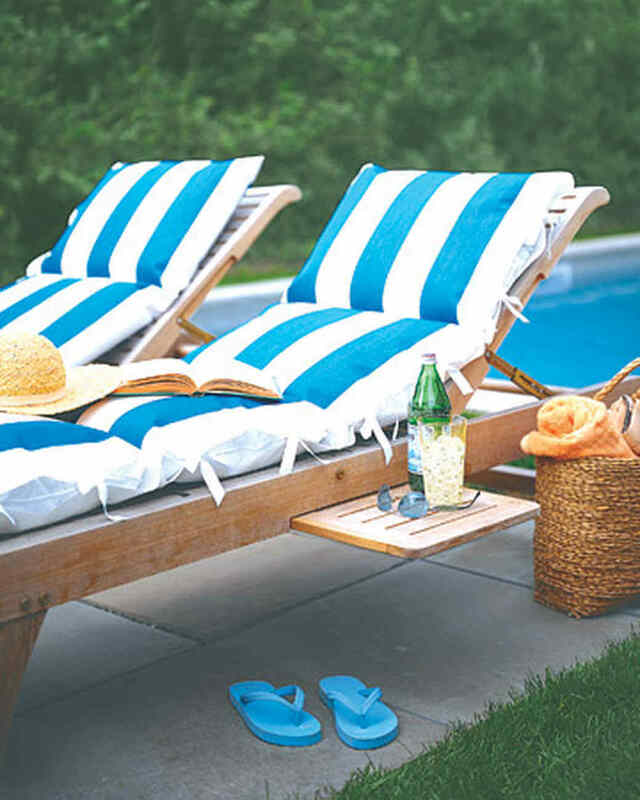 Custom Cushions – Martha Stewart – Buy a deck chair without a cushion? Add your own here!! 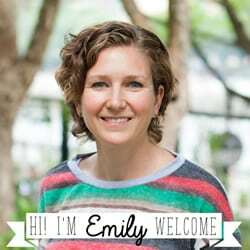 How to Sew with Outdoor Fabric – Sew Mama Sew – This post has some great general tips for sewing with outdoor fabric. 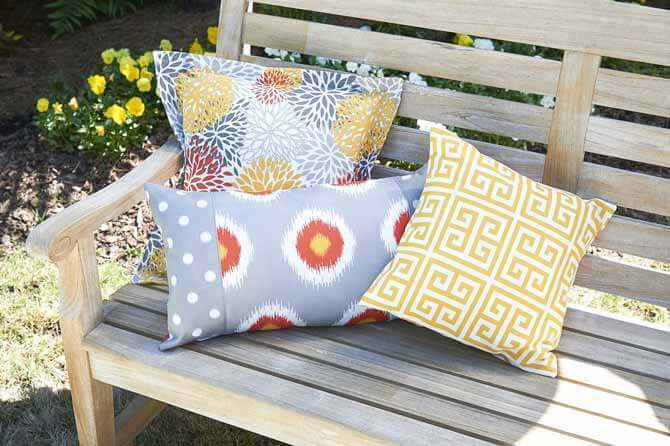 Outdoor Cushions – Quilt Social – More fun outdoor cushions. Make your deck comfortable and beautiful. 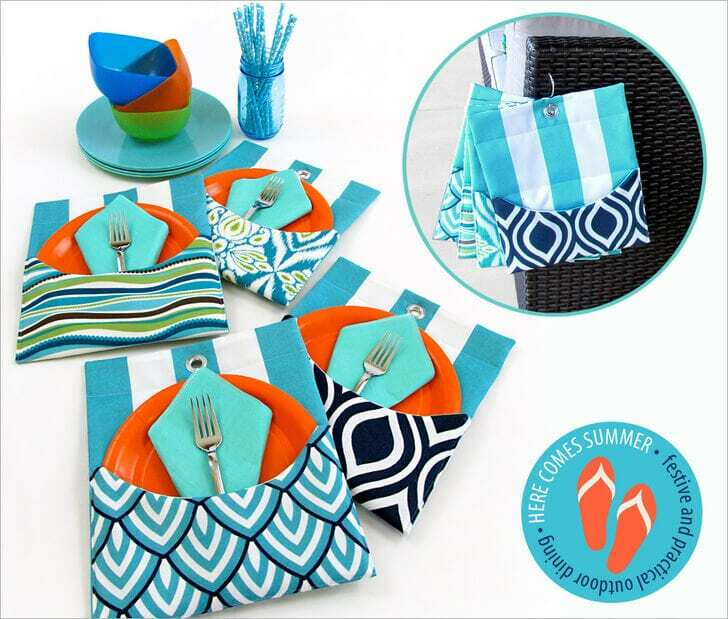 Outdoor Mini Mats – Sew 4 Home – The perfect picnic table settings! 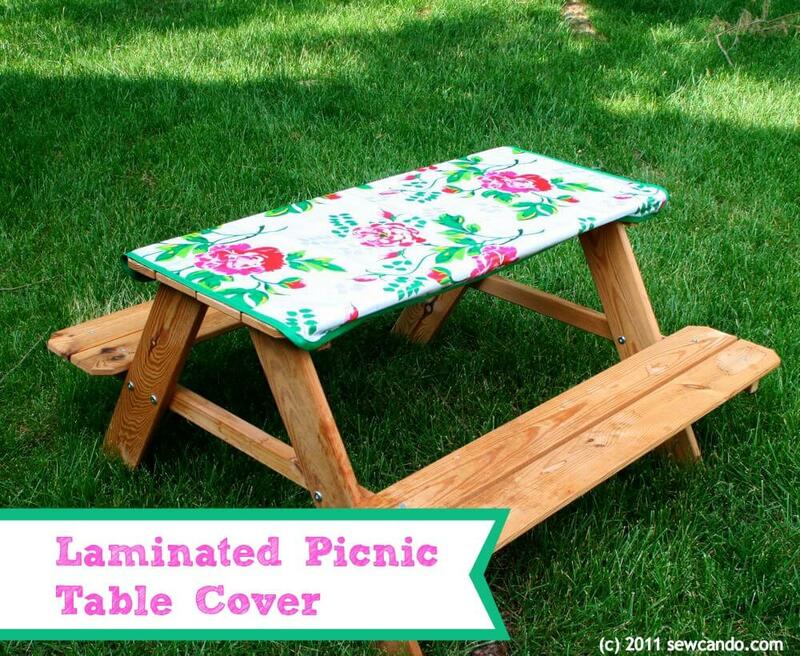 Laminated Picnic Table Cover – Sew Can Do – Great way to make picnic clean up easier! 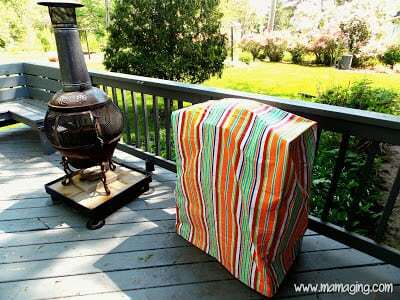 DIY Garden Bucket Fabric Cover – Hoosier Homemade – Do you like to garden? This is a great way to keep your things organized. 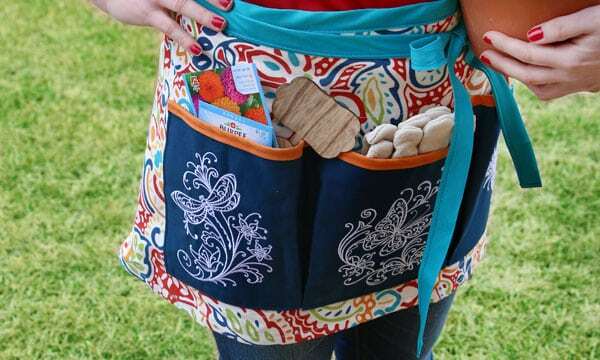 Gardeners Apron – Embroidery Library – This apron for outdoor is so cute and handy. 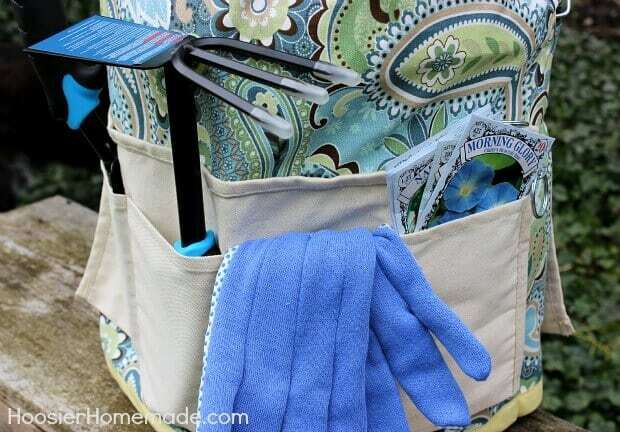 Garden Tool Tote Bag – Birds and Blooms – Here’s another option for organizing your garden tools. 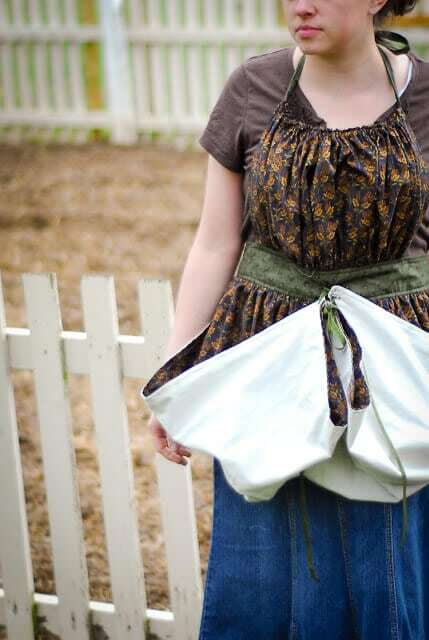 Harvest Gathering Apron – Reformation Acres – Have fruits and veggies to harvest? Gather them in this apron. 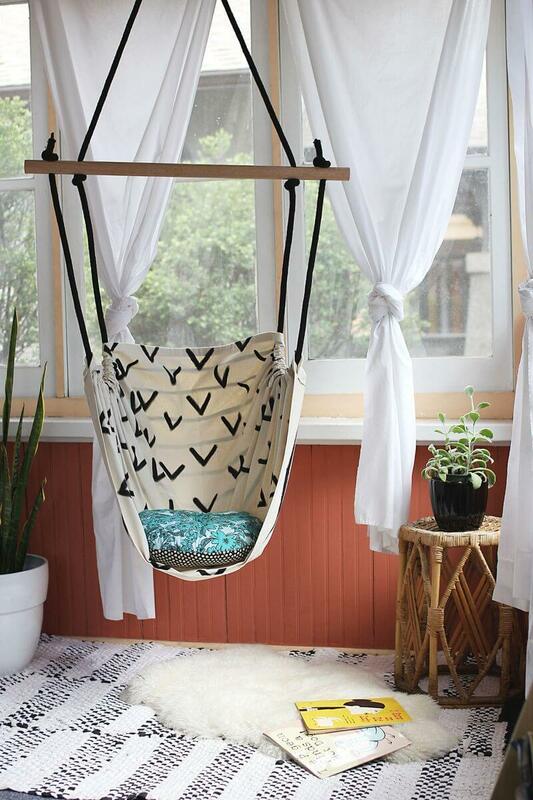 Hammock Chair – A Beautiful Mess – How fun is this chair? I’m pretty sure we need a few of these. I have the perfect branch to hang it from! 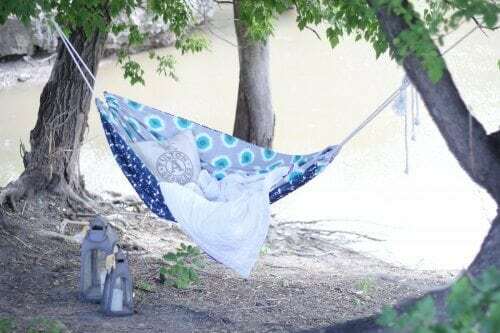 DIY Hammock – Modern Textiles – Don’t want a chair? Lounge in this actual hammock you can make yourself. 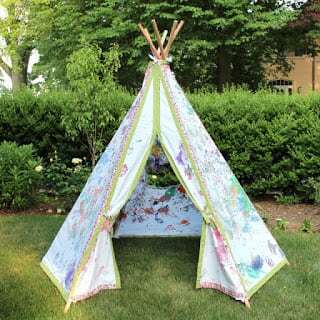 Kids Teepee – Rachael Rabbit – One last fun outdoor sewing project to make your summer even more fun!! There you go!! I’m going to make the hammock chair first! What will you make? I’m so excited for summer days and nights out on our deck/patio. 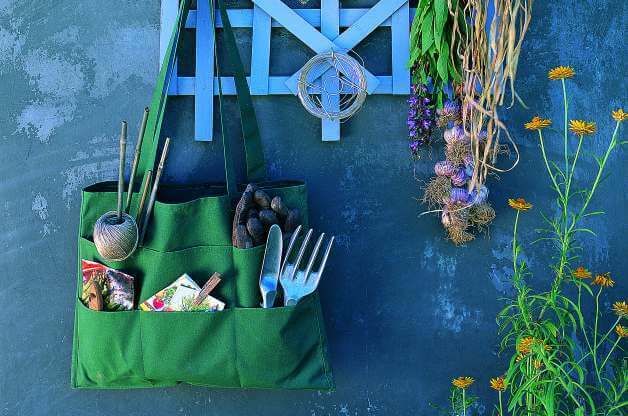 I hope you have enjoyed this round-up of outdoor sewing projects and that you will let me know if I’ve missed one you love.